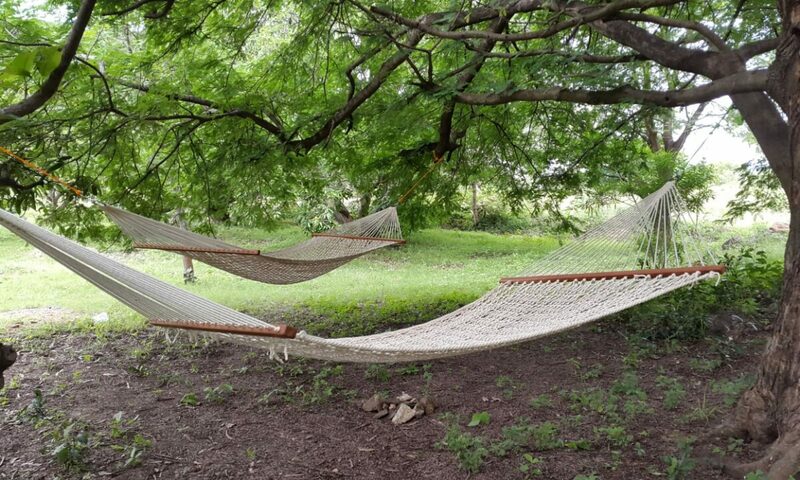 With 60 acres of mango farms, the hills around, a lake and the woods, there’s seriously nothing else we suggest when you come over for an outdoors weekend. We’ll help you setup a bonfire if you’re like to light one (it’s a challenge! ), go on a trek up the rocky hillside up to the temple, maybe build a raft and go across the lake! And if you’d like to help with some farm activity, let us know. If you come cycling, or get your bikes along, the place is great for riding around. There’s also a couple of abandoned gold mines in the area we could point you to!